There is a whole range of objects (i.e. many globular clusters and UCDs) that we currently cannot interpret using SPS models. 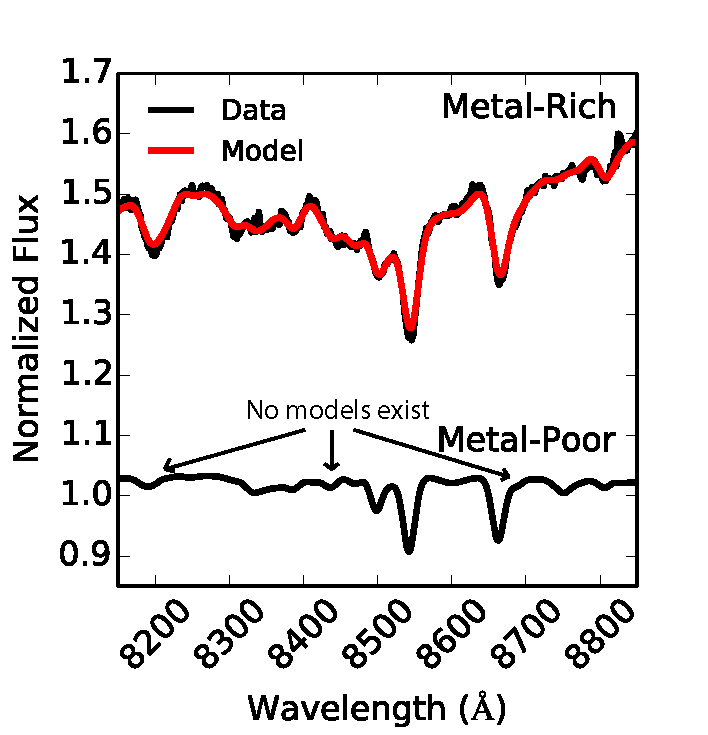 I am working on models that will extend SPS models to the low-metallicity regime. With Professor Jean Brodie, I am working on the SLUGGS survey data. 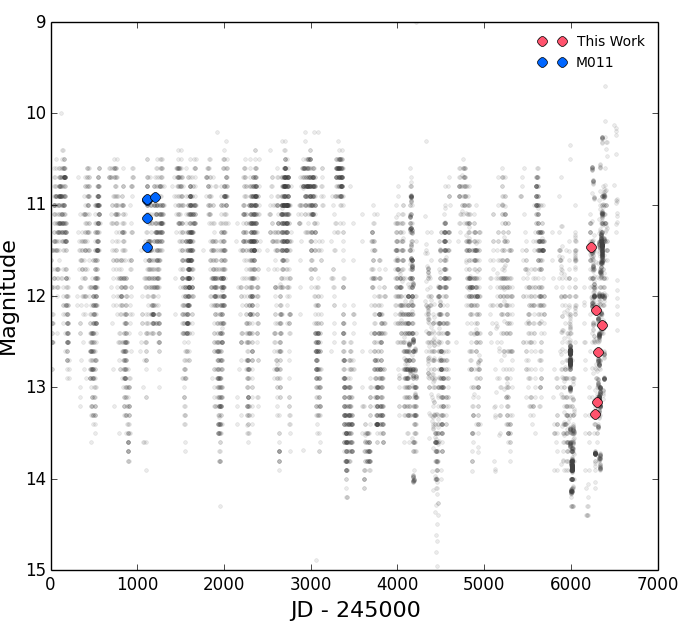 Namely, to homogeneously extract the photometry across the data set and to robustly categorize the objects in the field (ranging from field stars to UCDs to GCs). 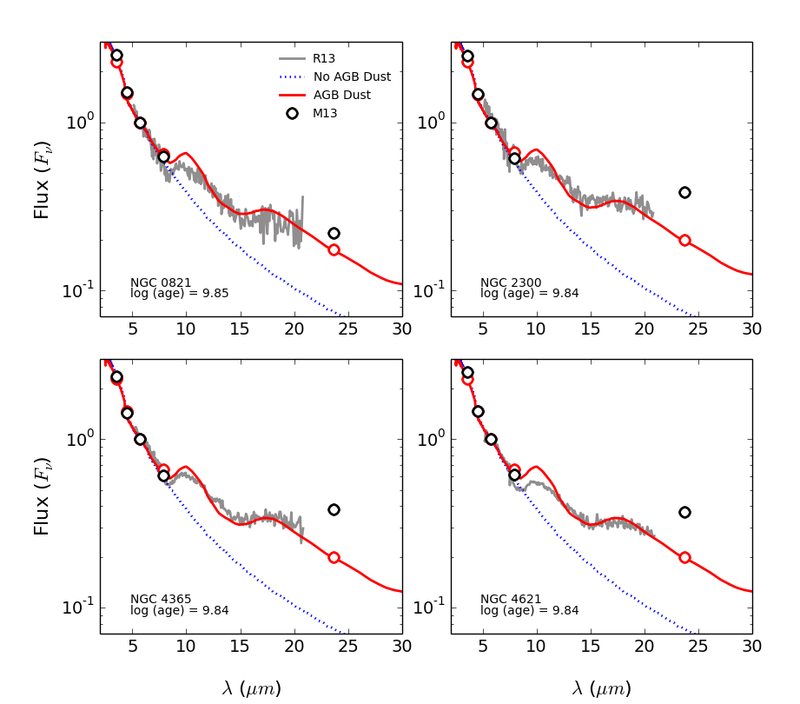 I created a grid of AGB circumstellar dust models that is now included in the stellar population synthesis code FSPS. These models are useful for interpreting the observed spectroscopy and photometry of quiescent, intermediate age galaxies such as ellipticals. The paper has been published in ApJ. A project I started at my REU and continued for my undergraduate thesis. I applied for and received time on Gemini North to get spectroscopy for RR Tau, a star that experiences dramatic variations in both it’s continuum light and certain spectral features. These types of stars are of interest for planetary formation timescales.